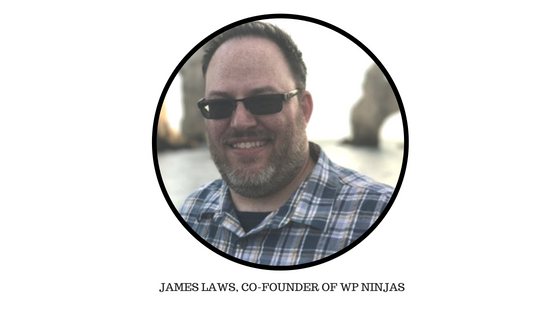 Today, at ‘Expert Speaks‘, we have James Laws, co-founder of WP Ninjas, popular for their flagship product Ninja Forms. As an entrepreneur, developer, blogger, marketer, public speaker, James has a lot of roles to manage. If you are wondering what’s his secret of success, then let me tell you, James is a firm believer in discipline, he follows a definite schedule and in his own words he “schedules uncontrollable events for the afternoon”! In this interview, James talks about his journey, how challenges motivate him and about his daily life. We are indeed thankful to James, that he could find time to answer our questions with utmost patience, making each of his answers highly useful and effective to our readers. You have said that you love creating things. In the process of creating, how did you discover WordPress and what made you stick to it? I got my own first personal computer back in 1998. I had just gotten married and was only 22 at the time. I immediately fell in love with creating digital things like graphics, newsletters, and eventually websites. 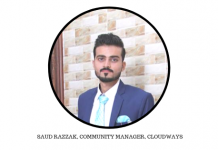 WordPress was my destination on a journey of creating dynamic websites and reusable components. I’m not really a developer; I just play one on podcasts and product meetings. WordPress became my ultimate playground because, even in my lack of knowledge, I could find resources to solve my own problems. It also ignited my curiosity to learn more about development and is the reason I can speak somewhat intelligently about it now. This is what got me interested. What got me to stick around was the growing and friendly community. Before we ever launched a product and anyone even knew who I was, key people in the community were super helpful to me. They answered my obscure and complicated questions and they encouraged me to feel like I could help others in those areas I was learning. I think this parallels all of life. All kinds of things might attract us initially, but the people and relationships we create are what keeps us sticking around. What is your normal day like? I am perfectly suited for routine. It’s not that I don’t like new experiences, but I function best and feel the most focused when I can fit myself into a set process. When I can clearly see that something that I am working on has an impact, I’m motivated to do even more of that thing. I love helping people and seeing them succeed, so if my work makes that even more possible I will likely pour even more of myself into that. Secondly, when someone tells me something isn’t possible or challenges my ability or value to accomplish something, look out! I’m not reckless, but I take great pride in proving the status quo wrong. What are the projects that you are currently working on? 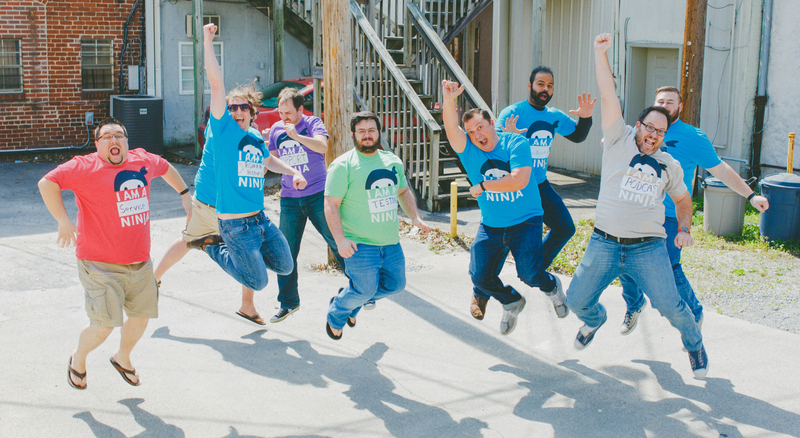 Ninja Forms is still growing like crazy, but I only take an advisory role these days. It now has a very talented and capable team managing it’s day to day direction. This has opened opportunities to work on several side hustles to see what might be our next big thing. Unfortunately, I can’t really talk about any of them at this time. Personally, I have been rekindling my love for collecting playing cards and have started dabbling with a project to design my own deck. It’s very early in the process, but I’m excited to build something I can actually put my hands on. What are the pros and cons of working for yourself? That’s right, it’s both a pro and a con. On the one hand, you get to work on what you want, when you want. On the other hand, there isn’t any external accountability or expectation. Working for yourself actually requires a tremendous amount of discipline. Contentment. I don’t mean a resignation to remain where you are. That’s apathy. I mean a deep internal satisfaction, the realization that you can have an impact, grow, and contribute exactly where you are. Internal satisfaction is much more about who you are as a person than it is about what is happening where you are. That isn’t to say that you don’t ever move, there are lots of reasons to change your environment, but often simply changing your surroundings doesn’t change your satisfaction. When I can be 100% where I am and not require something more to make me whole or happy, that’s success. Ninja Forms has 1 million + active installs! What goes into creating and maintaining such quality plugin? Half a dozen people and hundreds of hours a week spent caring about how our work impacts the users. It’s not really glamorous. We constantly discuss the user experience, iterate on the work that we do, and iterate on how we do that work. In Ninja Forms’ current stage of development, what are the top challenges to deal with? Making innovative changes and improvements without harming the current user experience. Which WordPress eCommerce platform would you suggest for small and medium-size businesses and why? They’re all great at this point. Some are just more suited for different situations. Woo Commerce is the granddaddy of WordPress eCommerce. If there is something you want to do it’s likely got you covered. That can also come with challenges and be intimidating. So I am going to give two recommendations for three different situations. If you are selling digital products I recommend Easy Digital Downloads. Its primary focus is on that one thing. 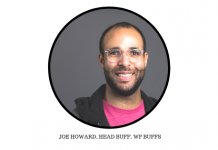 If you your store is going to be more complex with things like product variations, more complex shipping, or programmatic customizations, I would recommend WooCommerce. It will grow with you and all your possible needs. 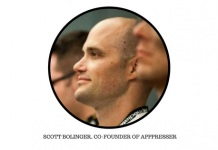 You are known as a Developer, Entrepreneur, Marketer, Public Speaker, Blogger! Which role do you enjoy the most? If I had to pick just one, I would say Public Speaker. I’ve been teaching in a public speaking capacity for over 15 years, and I love being able to help unlock and inspire people to new ideas or even old ones. In the last year or so, I’ve not been out speaking much, but I think I’m about ready to start that part of my life up again. Any word of advice to people who wants to follow your career? Don’t. I’m mostly joking. Every entrepreneurial journey is unique. No one is going to do it exactly like I did. I didn’t do it exactly like anyone else. Instead, I would recommend following a lot of different people and look for qualities and universal truths of successful people you admire. No one’s path can truly be replicated completely. But they all may have some key practices or principles that apply to your specific journey.